My kids detest socks with a passion, resulting in nothing but trouble keeping toes toasty in the middle of winter – but these slippers are so cute I’m sure they won’t want to wear anything else! Josie Marsh is the talent behind the Wooly Baby label. She takes old things and turns them into charming, toasty-warm new things! 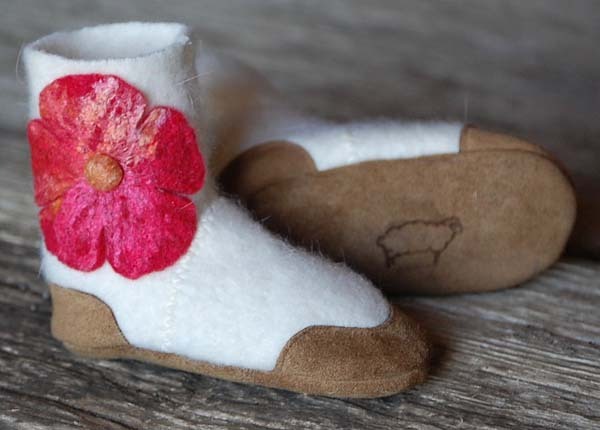 Josie struggled to find leather soled slippers made from wool for her daughter so fashioned her own using thrift store finds. Three years later she’s still making them and it’s not only her daughter that is enjoying her efforts. 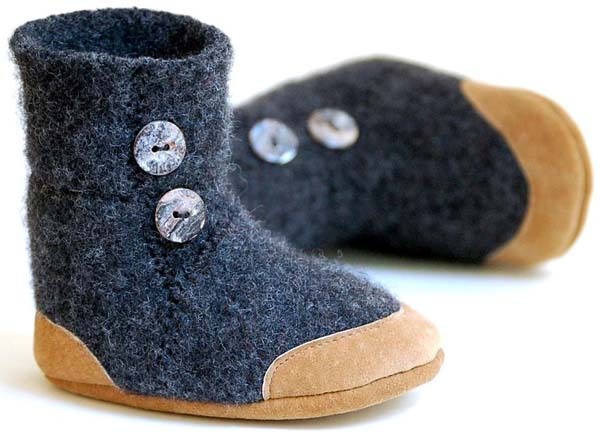 Wooly Baby slippers are made using recycled wool jumpers that Josie felts to make extra thick and warm. 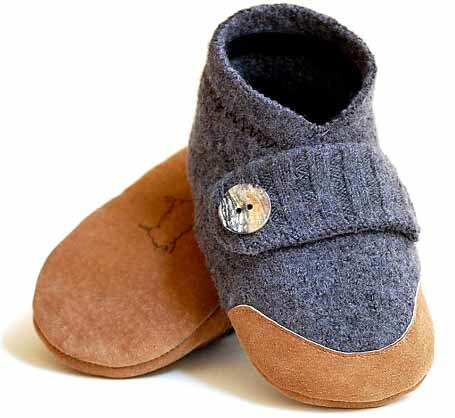 These gorgeous slippers have a high ankles and an extra layer of felted wool in the sole to ensure that little (and not so little) feet keep cosy warm. Recycled leather makes for hard wearing, soft and non-slip slipper soles – perfect for slippery polished floors. 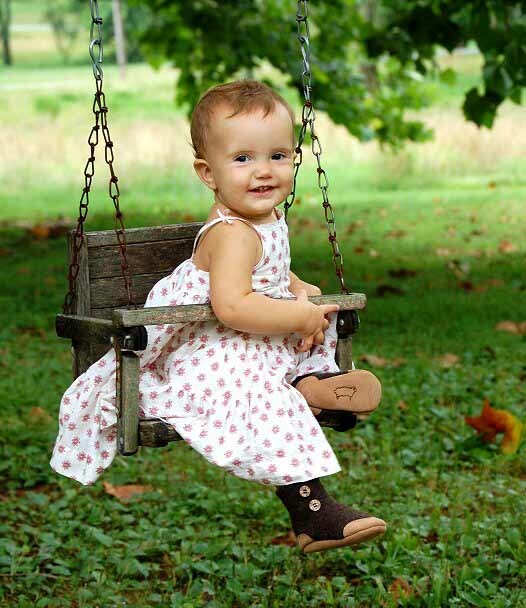 Many, many different styles are available in sizes for babies up to adults from US$32 at Josie’s Etsy store Wooly Baby. International shipping to Australia is a very affordable US$4. We mentioned these back in 2009 but they are so stylish we felt they deserved another outing this winter.